“Where the hell are the crayons?” I yelled to my Sunday School students. They were watching me rummage around in a cabinet for a box or maybe a coffee can of coloring utensils. I cursed myself for not preparing materials ahead of time. Based on my behavior, the six-year-olds decided they should take charge of the day’s lesson. “You don’t even know about the CRAYONS!” someone cried. A situation like that is why “real” classroom teachers have a simple rule for organization. “Everything in its place and a place for everything.” You can’t create magic if you don’t know where the ingredients are. 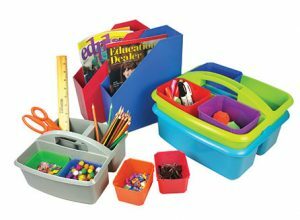 One look at Pinterest – where teachers proudly share pictures of orderly bins of books, color-coded folders, clearly labeled buckets and baskets, and rolling carts with drawers – shows you how much importance teachers place on classroom organization. It’s as if their lives depended on it. Just like artists love their brushes and palette knives, and mechanics love their tools, teachers love the things that keep them organized. They just can’t seem to get enough. So everyone needs it. Do they know about your store? 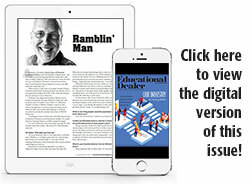 “Decluttering Your Life Is Not Just A Trend – It’s Big Business,” headlined an article in Fast Company a few years ago. 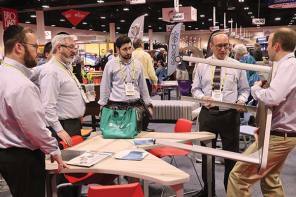 It talked about the impact of the “get organized” trend on businesses of all sizes and kinds. For $75 an hour, it reported, customers of the Container Store’s Contained Home service can have an organization expert visit their home and make de-clutter recommendations. The fee is refunded if customers spend at least $500 on Container Store products. Most spend much more than that. The average ticket is $2,500. 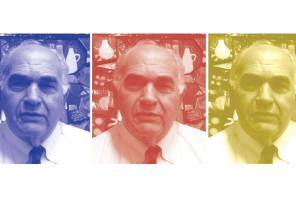 Busy storeowners often put “refresh the displays” at the bottom of their to-do lists. The process requires so much thought and “stuff.” Who has time to pull it all together? 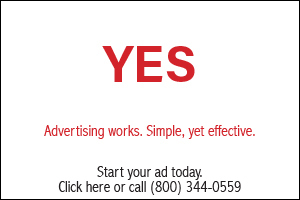 You do, if you keep a visual display toolbox on hand. 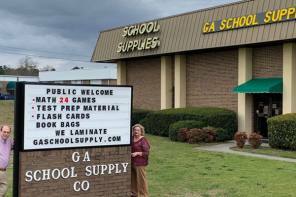 Retailer and retail consultant Shari Waters has made a list of the tools and materials you need every time you create a visual display. Having all of the items in one location not only saves you time, she says, it will motivate you to build more effective displays more often. Here’s Shari’s list. 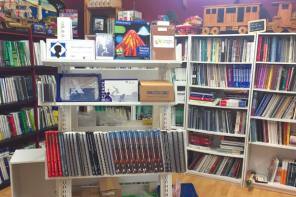 In addition, Shari shared a checklist of elements that make a display more effective. 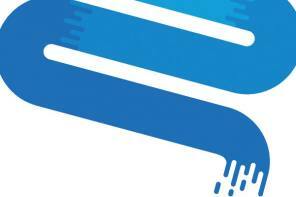 – Asymmetrical balance, like a small but brightly colored item on one side balanced by a larger darker item on the other side. – Color to set the mood. Cool colors like green and blue create calm and trust; warm colors spark happiness, and excitement. Black can create “dark” feelings but it’s also classic and chic. – A lighted focal point where your products, props and signage come together. – Simplicity – less is more. From “the balance,” a personal finance website from about.com. Romanoff Products offers plastic storage items in colors that range from Hot Pink and Lime Opaque to translucent Blueberry and Tangerine. 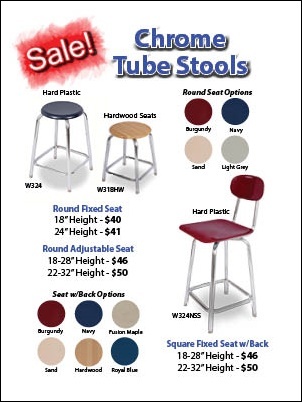 They come in all sizes, and sleek-to-chunky shapes and configurations. 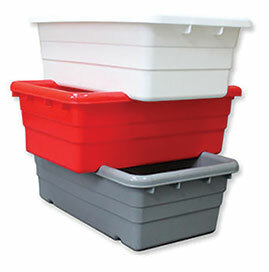 Bestsellers include stackable Stowaway bins and boxes, stackable small and large caddies, magazine files and cups. 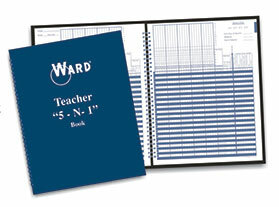 WARD lesson plan and class record books are a teacher classic. They’ve been produced in the U.S. by the Hubbard Company for more than 50 years. 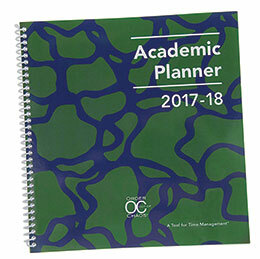 The 5-N-1 Book contains a grade book, lesson planner, student behavior forms, calendar/reminder and a phone and address keeper. With Ceiling Hanglers from the StikkiWorks, teachers can create an organized display of artwork, posters, signs, name cards and projects without a ladder. 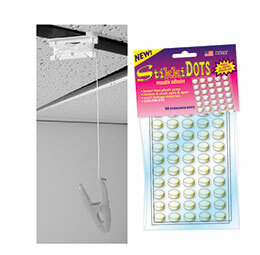 StikkiWAX dots hold things, either temporarily or permanently. The nontoxic, non-putty wax adhesive sticks to any surface but is easy to remove. Use them instead of pins, tacks, staples and tape. For versatility, strength and ease of use, you can’t beat the polypropylene files and portfolios from C-Line. The two-pocket style (a) is three-hole punched and comes with or without prongs. 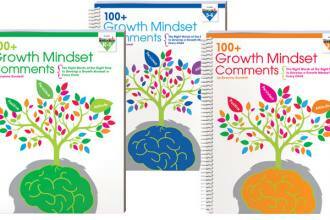 Binder Pockets (b) have write-on index tabs to make material easy to find. A tuck-in flap keeps papers secure. 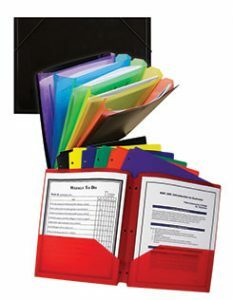 The Rainbow Document Sorter (d) holds up to 250 sheets in five colorful pockets. 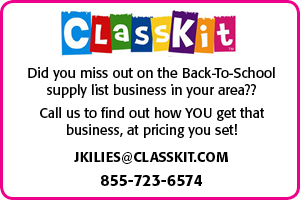 There are 75 different SKUs in the Chalkboard Brights line of classroom décor and organization items from Teacher Created Resources. 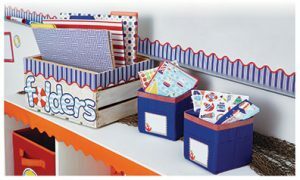 Among them are storage boxes, book bins and caddies, and matching accessories that include sticky notes, supply labels and glitter clothespins. Carson-Dellosa’s new S.S. 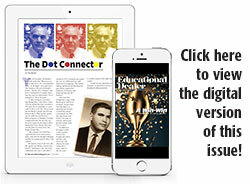 Discover theme features 30 different items including stickers, labels, and folders. 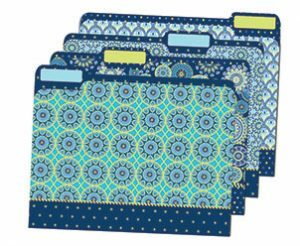 The file folders in Eureka’s Blue Harmony line of 40 décor and organization items are best sellers. Make Life Easier. STAY Organized. 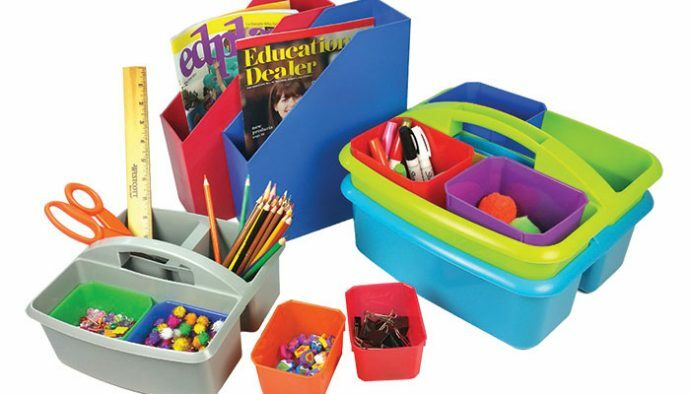 Whether you’re teaching students or selling products for teaching students, it’s often a struggle to stay organized. There are reasons for that, says Psychology Today. Sometimes we’re so overwhelmed by our clutter and/or unfinished projects that we literally can’t think straight. Another reason is that it’s easy to get distracted in the midst of organizing. Sorting through old documents, for instance, is a trip down memory lane. The trip can divert you from organizing to remembering both good and bad times. Some of us simply refuse to be organized because we want to remain “flexible.” We’re the ones who cancel meetings because something else has come along. To save us from our disorganized selves is Regina Leeds, a professional. She literally wrote the book keeping things neat; it’s called The 8 Minute Organizer. 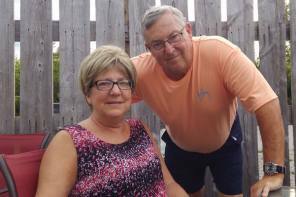 Because it contains “easy solutions to simplify your life in your spare time,” Canadian lifestyle magazine Chatelaine shared tips from it with its readers two years in a row. We are listing some of them here. You only need one pen, one pencil, a highlighter and a Sharpie. “All the other crap in there (and you know there’s a lot) should be stored in plastic baggies for when it’s time to replenish,” wrote Chatelaine contributor Robyn Shanks-McInnes. 3. Don’t just clean, organize. Give every item its own place. Do it in small chunks, one at a time. Today at your store, organize the gift-wrap station for speed and efficiency. All the bows, ribbon, bags, tape, and paper should be easy to see, to access, and to use. Tomorrow, tackle the cupboard in your break room. Addressing everything at once just creates more chaos in your head. It will make you feel so much better because folded items, like our sweaters, have always baffled us. Regina suggests cutting cardboard pieces to put between each sweater, then you pull it out almost like a shelf to ensure the rest of the pile doesn’t budge. “There’s a time to engage in more than one activity and a time to just say no to the madness our society embraces as a sign of productivity,” says The 8 Minute Organizer. At work, try completing one task fully, then enjoy a few seconds or minutes of peace before starting the next one. Regina recommends choosing a single routine to add and work it for three weeks before adding another.